When I was growing up, my Grandad would merrily devour a teaspoon of the stuff direct from the jar, and swore by its natural properties and their benefits to health & wellness. And it was a firm belief that would be strictly enforced upon me on countless school holiday visits. I would eagerly (and naively) approach the breakfast table, with romantic ambitions of replicating the joy I’d seen displayed on the face of Winnie (of Pooh Bear fame) on countless occasions before. And yet time and time again I’d recoil in horror, with the face of a child chewing a wasp (or should I say bee? ), only to reaffirm my distaste for the off yellow, gooey substance. A reaction that was to be met by my Grandads look of sheer disappointment at my response to a ‘sting operation’ of his own making. As Pooh would say, ‘Oh bother’ indeed. And so it was that I grew up in a world, firmly believing that honey was not for me – a life choice only further strengthened by the rise (and inevitable fall…) of ‘Britains Got Talent’ UK rap icon, and friend to 50 Cent, ‘Honey G’. Honey? In a gin?! With promises of a select group sneak preview and tasting, prior to the new gin offerings exclusive launch as the Fortnum & Mason October ‘Spirit of the month’, this was an offer I couldn’t refuse! Besides, maybe I’d been too hasty in my earlier assessments of this amber nectar? And so, like a gin fuelled Christopher Robin, it was time to pay another visit to the botanical garden of the ‘Hundred Acre Wood’ – or in this case, the front door of Picadillies Fortnum & Mason – and give honey another go. And in my ‘honey pot’ was ‘Warner Edwards Botanical Garden Honeybee Gin’. This is the latest edition to the Warner Edwards ‘Botanical Garden’ range, following on from the success of their ‘Melissa Gin’. And after being named ‘Craft Gin Clubs’ June Gin of the month, there has been a palpable ‘buzz’ (excuse the inevitable pun) about Warner Edwards ‘Honeybee Gin’ across Social Media that has only served to increase my personal anticipation to try it for myself! On arrival at the flagship store, the event was instantly draped in a sense of occasion. With a red carpet entrance, canapés fit for a banquet, a sprinkling of special guest appearances (including Radio 2 DJ Jo Whiley) and a free bar incorporating all things ‘Warner’, there was excitement in the air. And as with all good ‘Birthday Parties’ there was, of course, a cake. Though sticking with the grandeur of the occasion, this celebration cake was made by none other than 2013 ‘Great British Bake Off’ winner Frances Quinn, designed to incorporate the key botanicals of the ‘Honeybee Gin’. Did I take it too far by insisting on leaving with the poshest adult party bag known to man, to ensure a slice made its way home to my ever patient wife? I’ll let you decide (though know my life wouldn’t have been worth living had I not obliged!). What jumped out, during the formal launch presentations, is that this is a brand with a heart. And one that genuinely cares. Following a well documented decline in bee numbers, attributed to the use of modern pesticides that have caused a 97% loss in wildflower growth, Warner Edwards stepped up to the plate and knew they had to help. Tom Warner speaks passionately about the brands association with the ‘Royal Horticultural Society’ (RHS), the first time the UK’s leading gardening charity has partnered with a spirit brand, and how they are working together to support the plight of the bees across the country. And these guys don’t do things by halves! Having originally devised the scheme during a stint at the Chelsea Flower Show, following a chance meeting with the RHS whilst working alongside famed Celebrity French Chef Raymond Blanc, Tom & Tina Warner headed back to their 200 year old Northamptonshire Falls Farm HQ to get to work. But the ground to glass approach to gin distilling isn’t a new direction for Warner Edwards. Inspired by his mothers own green fingered love of gardening, Tom had already previously converted the garden next to the distillery in to their very own ‘botanical garden’ to support the creation of the herbaceous offering of ‘Melissa Gin’ (the first of their ‘Botanical Garden’ range) which focusses on the inclusion of ‘Melissa Officinalis’, a lemon balm member of the mint family. Their Elderflower and sloe gins use exclusively handpicked elderflowers and sloe berries. And their Rhubarb gin, recently proclaimed as one of the best on the market by the ‘Gin Foundry’s Olivier Ward, uses a crop that was originally grown in the kitchen garden of Buckingham Palace during the reign of Queen Victoria. Not to be outdone, the creation of the ‘Honeybee Gin’ has led to the addition of multiple beehives to their Falls Farm base. This comes alongside the introduction of the brands very own on-site beekeep & distillery manager Jonny (affectionately known as ‘Jonny Bee Good’). Following the trial and error of hundreds of attempted distillations, Warner explains how the ‘Honeybee’ range focusses on botanicals that ‘pollinate love’. And with 28 botanicals at play, this is Warner Edwards most complex recipe yet. Using a slow motion London Dry-esq style approach to distilling, followed by the inclusion of local honey, Warner Edwards have created a very ‘drinkable’ gin. With the inclusion of grapefruit peel, chamomile fresh root ginger, blue cornflower petals, hibiscus flowers, nutmeg, cinnamon and the infusion of a dollop of responsibly sourced golden nectar from their own hives, the gin has a moreishly fresh and floral presence, with a delightfully zesty and sweet finish, that lingers on the pallet. On first taste, from a neat sample, there is an initial smooth sweetness, reminiscent of a liquor. As you get accommodated with the gin, there is a subtle honey sensation that makes itself known – though it doesn’t present itself in an unpleasant or overpowering way. Set against the other botanicals, the sweetness of the honey has been perfectly balanced to leave you with no doubt that this is a gin to be admired and taken seriously. Once the sweetness subsides, there is a gentle warmth and spice that makes itself known, which leads you in to a honey trap of the best possible kind. I sampled the gin as a classic gin & tonic, served with Double Dutch light tonic water, which made for light and refreshing G&T. Warner Edwards themselves recommend a perfect serve of Mediterranean Tonic water, garnished with a slice of lemon and sage leaves, which make this a contender for a fan favourite summer sipper! Whilst more than able to stand up for itself in a classic format, when combined with ice tea & chamomile (known as a ‘Bumble Tea’), ‘Honeybee’ makes for a deliciously understated cocktail, whilst also making a perfect bed partner for Prosecco (to be tried and loved in a ‘Buzzecco’). Not only was this a fantastic event to launch a fantastic gin, but I also had the opportunity to meet a great crowd of like minded gin lovers from the blogger community, that had previously only been known as members of my ‘social media juniper family’. In the company of Katie from ‘whatskatiedoing’ (www.whatskatiedoing.com), Sarah from ‘Gin a Ding Ding’ (www.ginadingding.wordpress.com) and Claire Nelson from ‘Jamie Oliver Magazine’ I found my perfect drinking partners in crime to share the experience with, creating friendships in the best possible way; over a glass of gin! And in Toms effervescent and enthusiastic nature, I feel I’ve found a craft gin that is well worth a closer inspection. 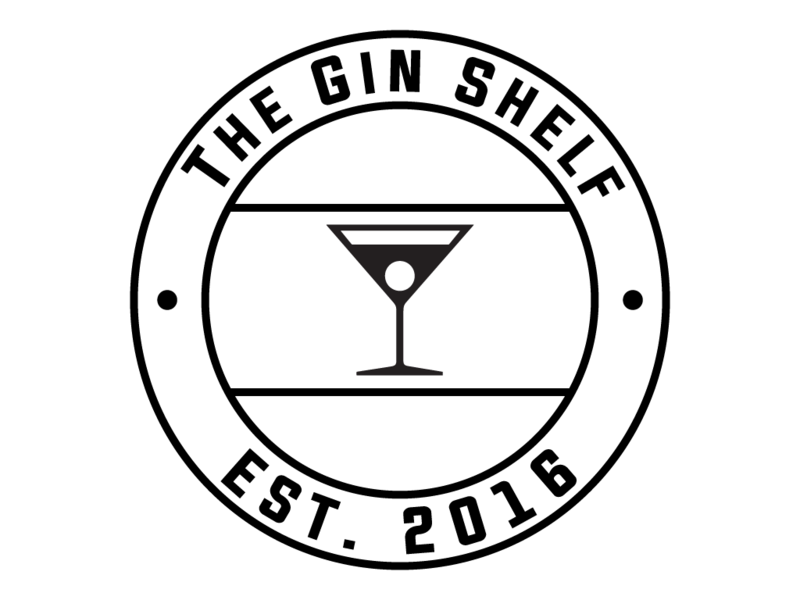 In sticking with the theme of ‘The Gin Shelf’ appearances at gin events, I inevitably ended up interviewed on camera (an inexplicable theme that my spot light loving ego finds difficult to resist). And whilst my glowing review of Warner Edwards, should it surface, is unlikely to trouble Andy Peters too much from his well deserved perch of ‘TV personality’, it added to the occasion none the less. With huge thanks to Tom Warner of ‘Warner Edwards’ and Christopher Wilson of ‘Dragon Associates Limited’ for the invitation to the ‘Honeybee Gin’ launch at Fortnum & Mason. Be sure to check out the great work of the Royal Horticultural Society, and pick yourself up a bottle ‘Honeybee Gin’ to ensure a fantastic G&T whilst also supporting our striped, flying friends.